Rapport Events has rebranded in a move that will see it diversify its offering to include all aspects of employee engagement and internal communications. The Manchester agency, whose clients include Talk Talk, Müller, Purina and Astellas Pharma, will now be known as Rapport: The People Activation Agency. It has also unveiled a brand new website and two new launch films to coincide with the rebrand. 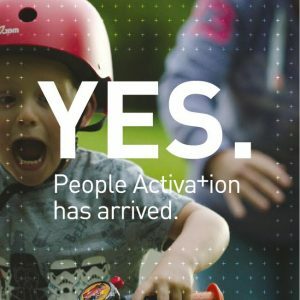 Co-founder Chris Teague said: “People activation was originally coined when we saw the amazing reactions of our clients employees who were attending the events we were producing. Rapport has grown significantly over the past 12 months and moved to larger offices in The Hive building in the Northern Quarter. Brand engagement director Russell Oakley, who joined Rapport from The Moment Content Company in August, added: “The growing value organisations are rightly putting against employee engagement, welfare and company culture has created a gap in the market for an agency that can offer a complete solution to these ever more common challenges.